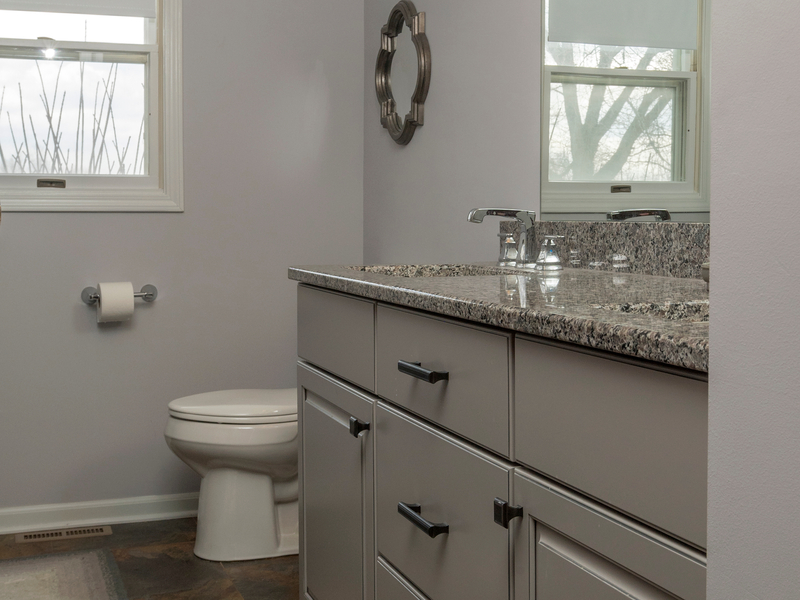 Odd Fellows Contracting worked with the customer in Lansing Michigan to update their kitchen with new cabinets, countertop and undercabinet lighting. Updated flooring with a warmer color feel work very well with the beautiful gray cabinets. Recessed can lighting and undercabinet lighting help to brighten up the space. Additional work was done in their bathroom to freshen up that space as well while we worked on the kitchen.